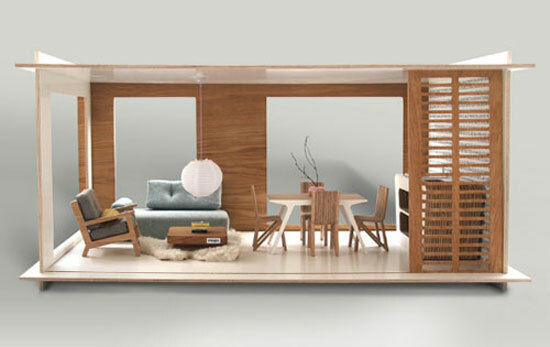 We have featured one or two stylish dolls houses in the past, but we think these Miniio contemporary dolls houses and the accompanying furniture are the best of the bunch. 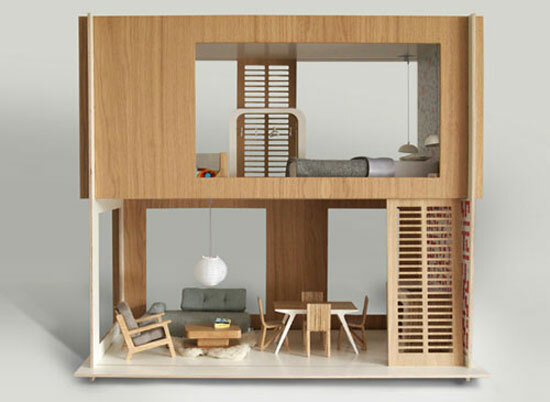 The kind of thing that kids will love to play with and adults will like to show off in their (larger) hip houses, each one is hand finished, constructed from oak and plywood and sold with a optional furniture sets to being your mini home to life. The end result for both house and fittings is stunning. 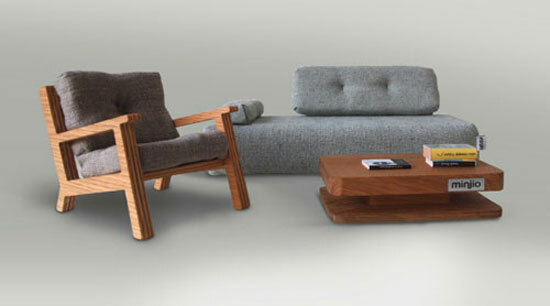 If you like the idea of one in hour home, the houses start at 199 Euros, eight furniture packs from 19 Euros. More images below. 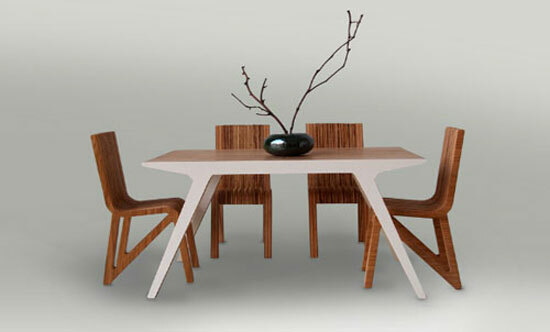 Prices vary, but as a guide, furniture sets start at around 19 Euros and the houses start at 199 Euros online. Shipping is worldwide.